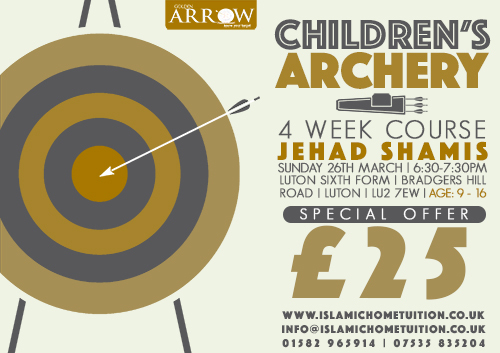 This introductry course will be a means for children to participate in the sunnah practice of archery. The course consists of four sessions that are 1-hour in duration. The aim is to give the participants the opportunity to become competent at performing archery.